FLORENCE, Ala. – The University of North Alabama will host four summer STEM (Science, Technology, Engineering and Mathematics) Camps starting in June. The camps will consist of two different options, residential camps June 5-7 and June 7-9, and day camps June 12-16. Prior experience is not required for either camp. The camps will “incorporate project-based learning, will promote scientific inquiry and the application of mathematics and technology in the context of experimental design, problem solving, technical briefing and report writing,” Jerkins said. 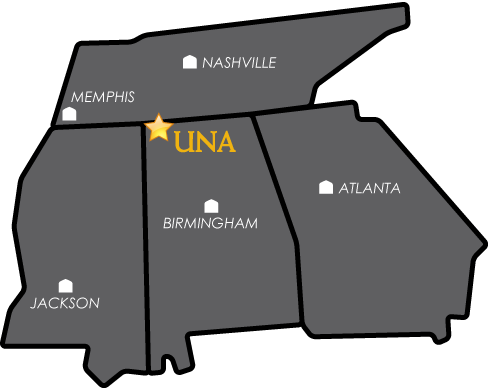 Camp instructors will consist of UNA faculty, while UNA math and computers science students will be counsellors. Dr. Cynthia Stenger, professor of Mathematics, said that “Students will build confidence, competence, and community through STEM activities.” Stenger said this marks UNA’s fifth year to host summer STEM camps.